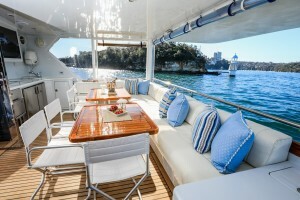 A visit to Sydney harbour city isn’t complete without a charter experience on the harbour. 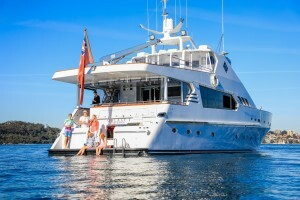 At Galaxy Charters, we aim to satisfy the most discerning traveller attracted to the luxury end of the leisure market. Our clients to date have included guests locally and from abroad but all have the wish to experience a once in a lifetime opportunity. Galaxy I becomes your vehicle to relax, to explore and to enjoy the finer things in life. We restrict our numbers aboard (12 daily and 6 overnight) to ensure that each guest receives the full attention of our dedicated waiting staff. But our service and dedication are only part of the Galaxy experience; our on-board chef is ready to ensure guests enjoy a gastronomic journey second to none. Menus can be tailored for each individual palate and our kitchen staff use only the freshest of ingredients. 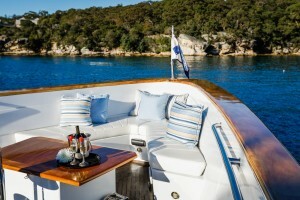 With two designated dining areas, guests have the choice of formal dining on the forward deck or more casual dining aft. 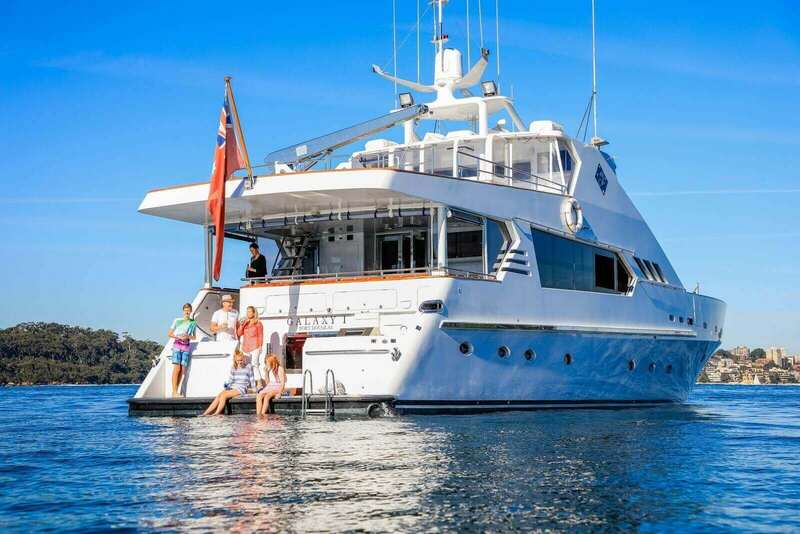 For the guests who want that little bit more, Galaxy I is available as an overnight experience or a multi day cruise itinerary. Dining in luxury whilst viewing the beautiful Sydney skyline is a ‘must do’ on everyone’s bucket list. 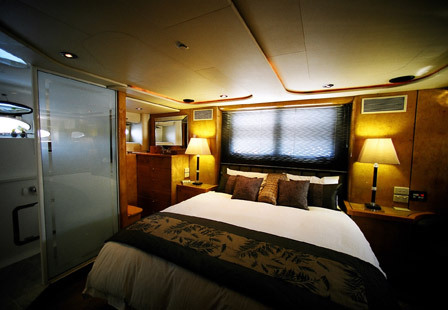 Our master stateroom boasts a king sized bed with marble en-suite. 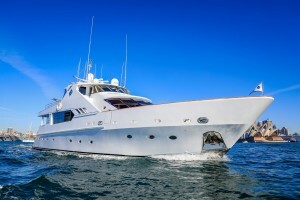 Naturally, all cabins have satellite TV and DVD players with on board Wi-Fi internet to keep you connected. Niad stabilizers ensure that Galaxy I can guarantee the smoothest possible ride whatever the location. 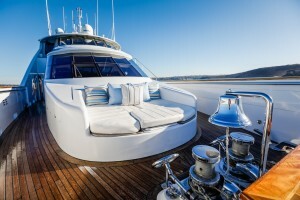 Suitably qualified guests can take advantage of Galaxy I’s Wave runner. 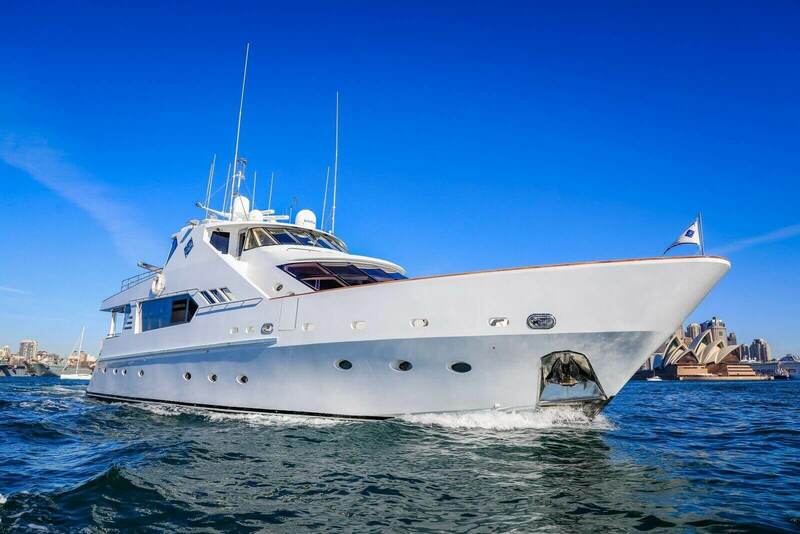 Galaxy I was originally launched in 1996 and been extensively refitted since this time. 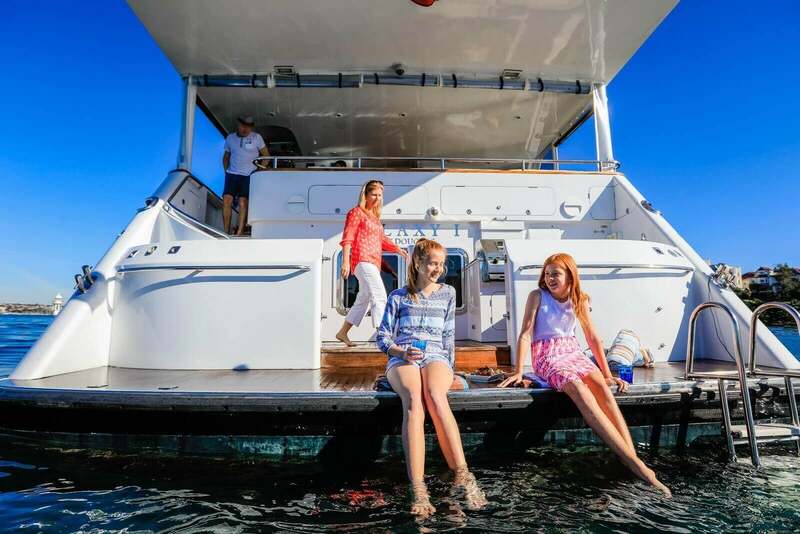 Our vessel is a 26 metre luxury Super yacht berthed in the stunningly beautiful Pittwater, Northern Sydney – nearby 20,000 year old Aboriginal rock engravings and whale watching off the coast. The iconic Sydney Opera house and Sydney Harbour Bridge are only a stone’s throw away. Of course, for those planning the ultimate romantic experience for that very special person, you could ask us about scenic Seaplane flights across Sydney to rendezvous with Galaxy I in Palm beach near the pristine blue waters of the Pacific Ocean.